Vibrant rings. Head-to-head competition. Strategy, teamwork and laughter. And it’s all super-sized! Fire up fun anywhere with the 4-to-Score. This classic game encourages teamwork and strategy as little ones learn to outmaneuver their competitor to score four rings in a row. 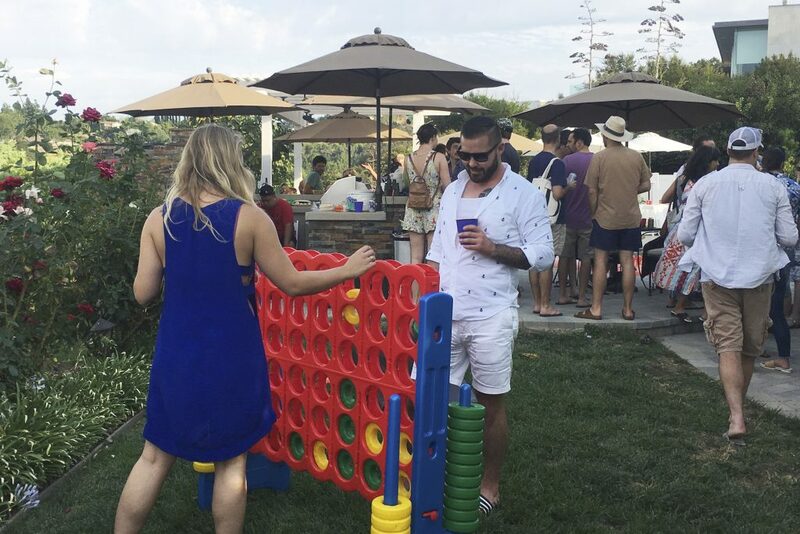 But it’s not just for kids — grown-ups have a blast playing, too. Featuring a new, smaller design, the 4-to-score is lightweight and easy to assemble/disassemble. Keep it in the playroom, then bust it out at your big barbecue for an unforgettable kids-vs-adults championship! Here are some spectacular ways to use your 4-to-Score. 4-to-Scores are easy to disassemble and toss in the trunk — and the Junior version will likely fit in the back seat without a fuss! 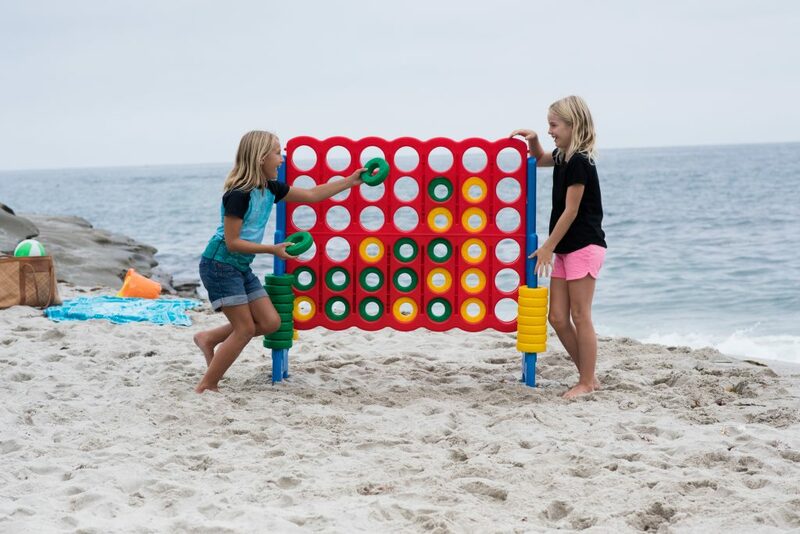 This makes it a great option for a fun outing at the beach or park. It’s a perfect complement to a fun day of Frisbee and picnics! When it’s time to play, little ones love teaming up or going head-to-head for some fun, brain-stimulating rounds. Keep it indoors for cozy competition on cold winter days, or leave it outside during summer for a fun way for kids to play outdoors! The Junior 4-to-Score is perfect for little ones who still have some vertical growth to go. While the Junior 4-to-Score might be a bit small for the average adult, the regular version is just the right height for kids or grown-ups! Bust out your 4-to-Score for all-day fun on on the lawn or deck. 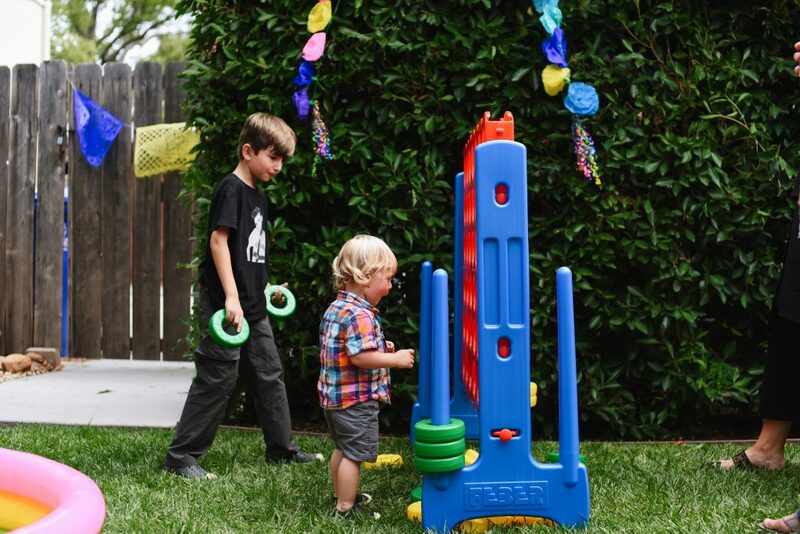 Bright, durable and outdoor-friendly, all versions of the 4-to-Score make exceptional play yard companions. Whether kids play one-on-one or team up for a bigger challenge, there’s always sure to be smiles and giggly playtime wherever the 4-to-Score is set up. Check out all the versions of the 4-to-Score! Already having fun with a 4-to-score of your own? Tell us the fun ways and places you use it! Let us know on Facebook or in the comments below, or tag us on Instagram at #ECR4Kids!